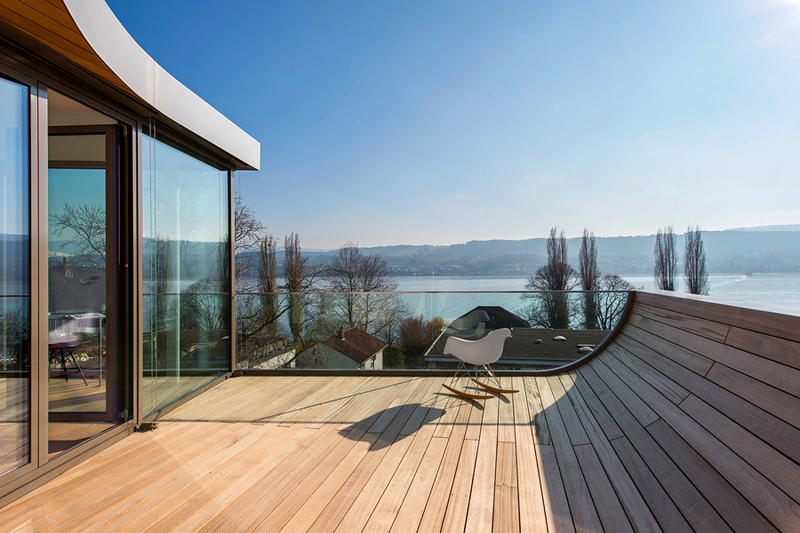 Flexhouse by Evolution Design is an exclusive family house located on picturesque Lake Zurich in Switzerland. 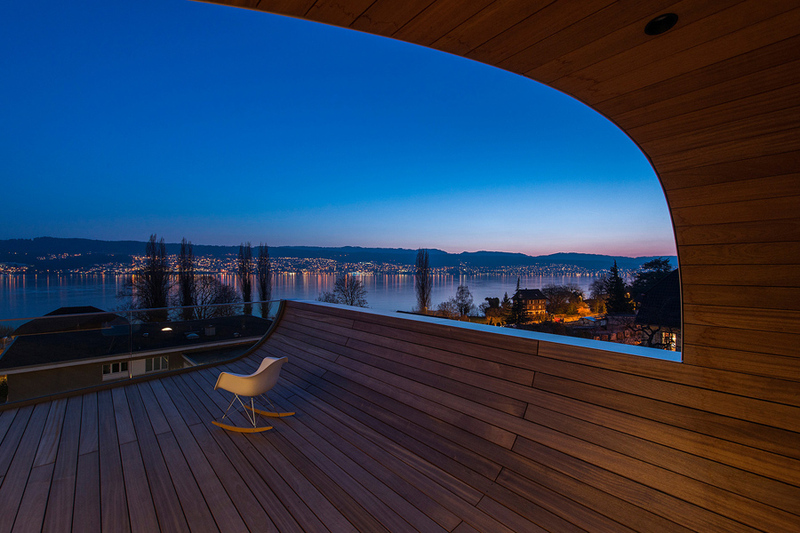 With its wide walls of glass and a ribbon-like white façade that winds its way around the building, this home is so light and mobile in appearance that it resembles a futuristic vessel that has sailed in from the lake and found itself a natural place to dock. The land is at the edge of the village where housing meets the countryside. The railway lines behind the plot are a dynamic yet soothing boundary, and in front of the house there is a local access road and the lake. The building reflects all that movement. The design features a floor plan that goes from wide to narrow to follow the railway lines and shape of the plot. The striking façade wraps around the building, drawing the eye continuously upward: the house never feels stiff or still, there are always elements drawing your eye throughout the space and to the views beyond. 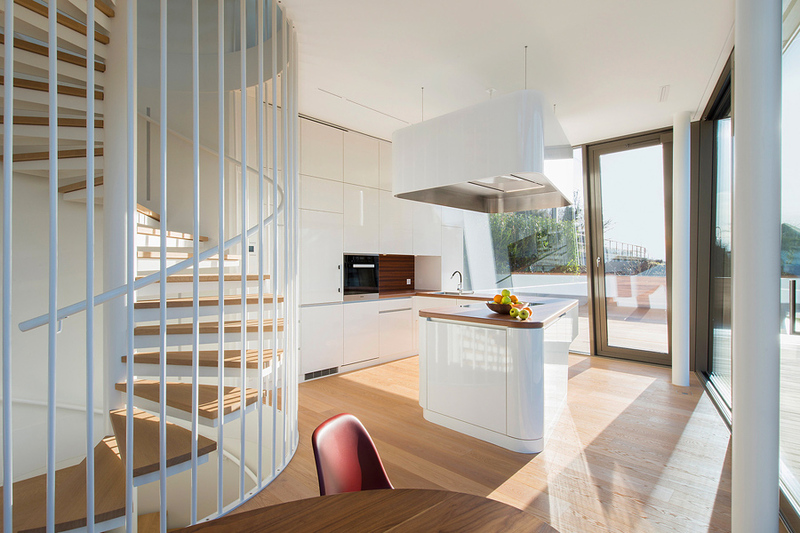 The fluidity of the design continues inside, thanks to an open plan interior, unbroken views and reams of natural light, which streams throughout the space all day long. On the ground floor, the spacious living room transitions into a dining area and loft-style kitchen. 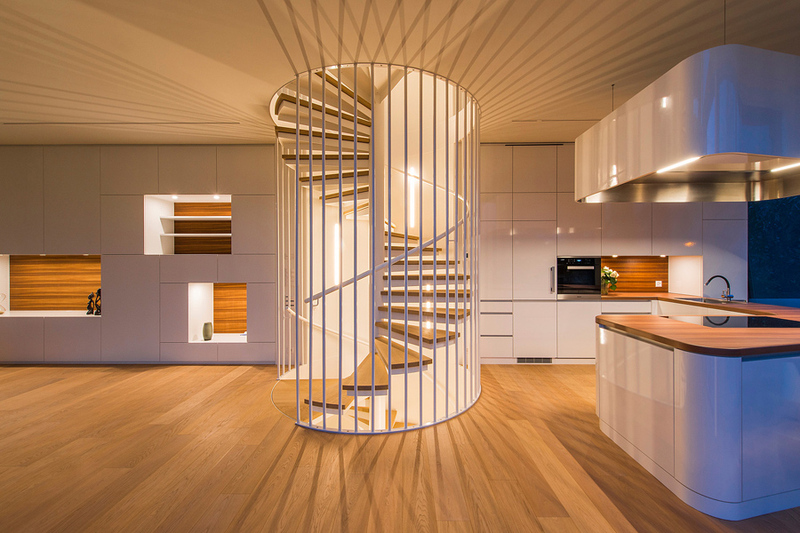 Rather than close off individual floors, the design incorporates a double height open space that allows the eyes to travel, delivering a glimpse of the bedrooms above or, from the first floor, to the living room below. 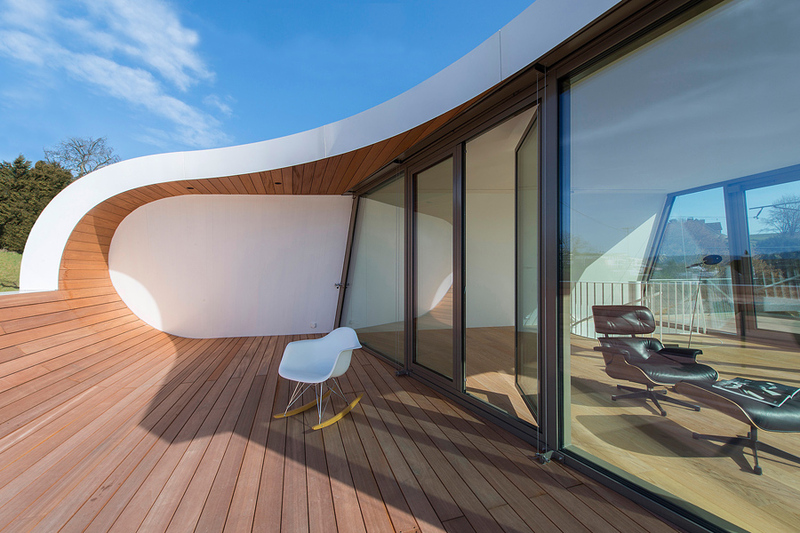 The top floor studio with its breath-taking 180degrees views and two roof terraces is the culmination of this seamless flow between inside and out. Also be sure to check 15 creative modern wooden houses.